The long wait has ended for all the kids and lovers of Pokemon franchise who were praying or hoping for a movie on this worldwide phenomenon. Warner Bros. Pictures has just recently released the first official trailer for the first ever live-action Pokemon film, titled POKEMON: Detective Pikachu. Another biggest highlight for the film is that Ryan Reynolds will be giving the voice for Pikachu, the most popular and loved Pokemon ever! The film stars mainly young actors, with Justin Smith (from Jurassic World: Fallen Kingdom) playing the role of Tim, a 21-year old boy who goes on a quest to find something (watch the trailer for more details), related to his father. There is also actress Kathryn Newton (from Lady Bird and TV’s Big Little Lies) starring as Lucy, who’s a junior reporter following her first big story, and Academy Award nominee, Ken Watanabe (from Godzilla and The Last Samurai) playing as Lt. Yoshida. 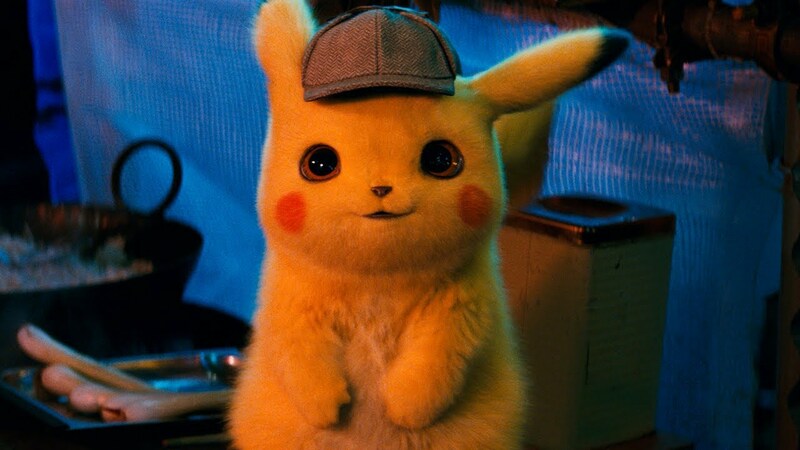 POKEMON: Detective Pikachu is directed by Rob Letterman, who’s previously made Goosebumps and Monsters vs Aliens, while the director of photography is none other than two-time Oscar-nominated John Mathieson, who’s worked on films like The Phantom of the Opera and Gladiator. The movie is an American and Japanese joint venture, produced by Legendary Pictures, Universal Pictures, Toho, and Warner Bros. Pictures. It will be arriving next year on May 10th, 2019, in theaters worldwide. The Pokemon brand itself has a famous history of its own too. Launched in 1996, it became a global sensation, with its video games selling around 300 million units across the globe. Most popularly, its classic trading card game (available in 11 languages) is so much spread among the kids and Pokemon lovers that over 23.6 billion cards have been shipped till now, since its inception. The gaming app, called Pokemon GO, which was released two years ago, made everyone addicted to augmented reality-based games. It was downloaded about 850 million times.